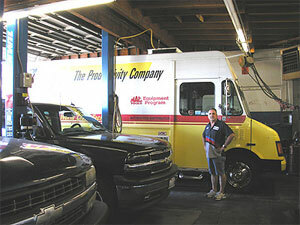 We are a local, family-owned business that was founded in 1965. Because we are not a franchise or part of a chain, our name is on the line every day and every customer is important to us. We invest in training and equipment to ensure that our people always have the skills and the technology to get you repair done right. Before your transmssion repair even starts, we perform a test-drive (free of charge) to let us feel (and hear) the way your tranmission is performing. 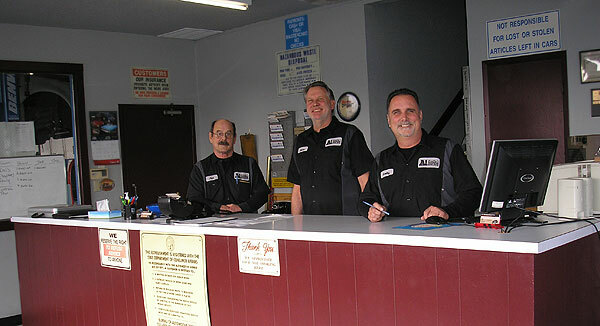 Every repair is made using quality parts and the decades of experience gained over 46 years of replacing and repairing transmissions and clutches. Our experienced technicians are backed by ATSG, the largest, employee-owned, technical support service in the industry. We even have the special facilities needed to work on motorhomes! 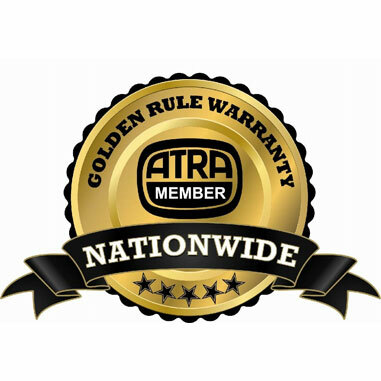 Our work is covered by the ATRA Golden Rule Warranty, the most widely honored warranty of any chain or franchise, accepted at member shops across the USA and Canada. 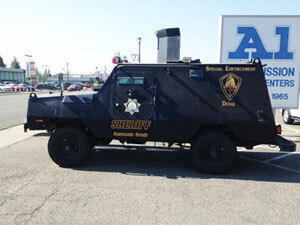 AND WE REPAIR TRANSMISSIONS ON THE BIG STUFF TOO!